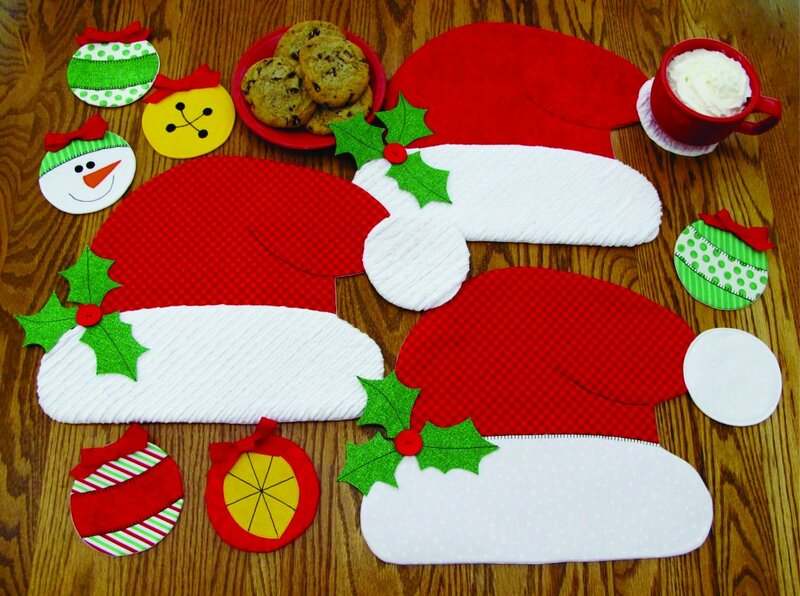 Full-sized pattern pieces to sew up jolly Santa Hat place mats with a Snowball mug mat attached - and we also include a bunch of individual Mug Mat designs to be used separately! Make Hat trim with Chenille (for a fluffy look, like a real Santa’s Hat) or use the Fast applique method (instructions for both included). Make whimsical Holiday party decorations, or use for fun meals everyday! Approximate finished size: 18½” (with Snowballs) x 12½”. With Visual Aids to help making Chenille under Tutorials! !